In a prior post 18 months ago, we discussed Porsche’s plans to build a compact crossover to complement the mid-size Cayenne. At that time, the model was being developed under the name “Cajun”. Porsche has subsequently announced the model’s name as the “Macan” and it is slated to debut state side late in 2013 as a 2014 model. The name of the vehicle “Macan” comes from a Indonesian word that refers to a tiger, suggesting agility and sharpness. 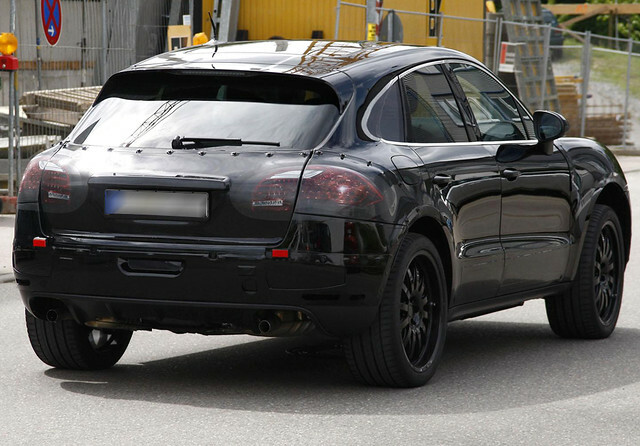 Variants of the Macan may carry an additional brand or marquee. It will be interesting to see if a top-line turbo is introduced into the model right off the bat. Porsche may offer a very different selection of engine sizes for Macan vehicles sold in North America. The automotive press is speculating about a new 3.0-liter turbo diesel that produces over 300 horsepower. This engine will probably sit inside models sold in Europe. American buyers may be able to obtain a Macan that comes equipped with a V-6 engine that delivers over 300 horsepower. However, Volkswagen is reportedly introducing a new 2.0-liter 260 horsepower engine into its GTI model. This engine would be a good fit for the American market with its increasing emphasis on fuel economy and would likely still provide the type of performance Porsche is famous for and owners expect. An 8-speed transmission is likely to be standard on all trims. Porsche has not released any details about the price of the Macan, but has given the public a few screen shots and specs. Porsche has confirmed that the crossover will be built on the same platform as the Audi Q5. Volkswagen, which builds Audis, owns 49% of Porsche. The pictures shown at the official press release for the new Macan indicate a body type that is relatively low in stature. With its curvy shape, lines are definitely what most would call sporty, and the model has large wheels for its size. The sloping rear roof, which has some similarities to the Nissan Juke, will reduce the model’s utility. The Macan’s interior amenities are also a tightly guarded secret. Buyers will have the choice of several trims and options packages, resulting in a very wide range concerning the final cost of the model. Spy cams have caught this new model on the test roadways and indicate a very agile, quick-responding vehicle. Simply because it carries the Porsche name, the 2014 Macan is expected to offer superior handling and cornering. Advanced traction control and brake distribution will definitely be included in the base model. The results of these road tests may give the automaker cause to perform some last minute redesigning of the exterior contours. 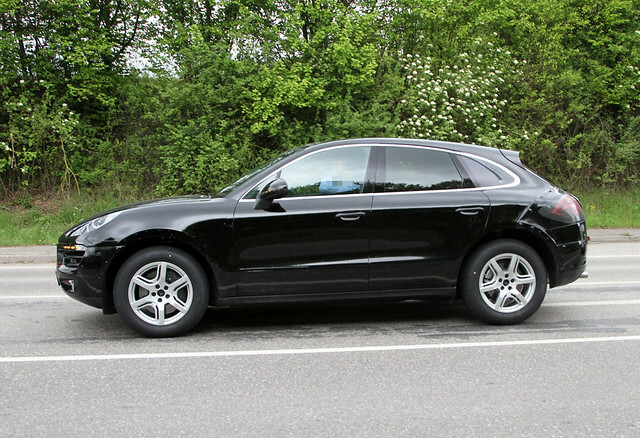 The final dimensions of the Macan, including the wheelbase and overall height, may undergo some minor adjustments. The mass assembly of this new crossover will take place at a new, 500M Euro, 1,000 employee facility in Leipzig, Germany. The Macan will be first offered as a 5-door with an adequate cargo area and fold-down rear seats. A 3-door variant is rumored to be in the works. Porsche has not confirmed this. A competitor, the Land Rover Range Rover Evoque, offers both 5-door and 3-door versions. Until drivers get a chance to sit behind the wheel and test out the Macan for themselves, announcements by Porsche are the only tools reviewers have regarding the marketing strategy. The vehicle is expected to compete directly with models such as the BMW X3 and Cadillac SRX, in addition to the Evoque. This may also serve to indicate a possible base price for the vehicle, perhaps around $42,000. I would like to know the length from the back of the front seats to the inside of the rear door and the width between the wheel arches? Good to see the car finally made it.